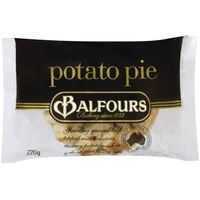 Balfours is one of our favourite frozen pies whether it be the plain pie or the potato pie. They are filled with plenty of meat and are topped with a decent amount of mashed potato. They are a regular in our shopping trolley.